One of the most-anticapted movies of 2017 opens this week at the Lincoln Square, the Meridian, the Parkway Plaza in Tukwila, the Century in Federal Way and the AMC in Lynnwood (along with a handful of other theatres in outlying areas). The sequel to the 2015 epic Baahubali: The Beginning, Baahubali 2: The Conclusion promises more of the same from director SS Rajamouli: lush romance, bloody battles, and a fantastical CGI mise-en-scène beyond the bounds of acceptability in decrepit Hollywood. In the first part, a young man of immense strength named Shividu, living in an isolated village, discovered that he was the disinherited prince of a glorious kingdom. A lengthy flashback revealed the treachery of his uncle in (probably) murdering his father after a mighty battle in which Shividu’s father was declared king. We’ll have at least one review of the movie up this week as soon as we can see it. Note that there are three different versions playing around town, in Hindi, Tamil and Telugu. The film was made in Telugu, and tickets for it in that language are the most expensive, followed in price by tickets for the shows in Tamil, and finally Hindi, which appear to be regularly priced. The movie is only playing in its original Telugu version at Cinemark/Century theatres. There is a seemingly inconsequential moment roughly a quarter into Graduation where the protagonist, Dr. Romeo Aldea (Adrian Titieni), enters the office of his friend, the police inspector (Vlad Ivanov), and sees two bowls filled with marbles. The inspector explains with no small degree of weary acceptance that he uses them to symbolize two time-based demarcators and to reflect on his current state of affairs. The first represents the amount of days he has lived, and the second is for the amount of days before he can retire at 65, something he quickly states could change based on a revision in Romania’s laws. This moment of interaction, perhaps the least plot-related moment in an otherwise intensely focused movie, is a kind of key to Cristian Mungiu’s Graduation. The Romanian director burst out into the world cinema stage with his 2007 Palme d’Or winning film 4 Months, 3 Weeks and 2 Days, a singularly harrowing and powerful movie about a woman’s struggle to obtain an illegal abortion for her friend in 1987 Romania. In many ways, Graduation functions as an elaboration of that film’s immensely compressed dealings with the nature of bureaucracies and corruption–something, it should be noted, that forms a primary concern for various filmmakers in the Romanian New Wave. There are a lot of highlights this week on Seattle Screens, from new releases (James Gray’s The Lost City of Z, Cristian Mungiu’s Graduation), continuing runs (Makoto Shinkai’s Your Name.) and the next films in retrospectives on Yasujiro Ozu, David Lynch and Douglas Sirk (Good Morning, Blue Velvet & Dune and Imitation of Life, respectively), as well as the start of the Cinerama’s big Anime Festival. But if I had to see one movie this week, it would be the Northwest Film Forum’s free screening on Saturday of Adam Curtis’s HyperNormalization. Curtis is a documentarian for the BBC, and if you’re familiar with his work, this new one won’t be anything new. It’s rather another facet in his continuing argument that our modern world is the result of elite fear, a reaction to the instability of the post-industrial world, defined by corporate and governmental desires for stability and commodification. The story this time traces the careers of Muammar Gaddafi and Donald Trump, with sidelines on Russian manipulation of media and the deadening effect of the internet and social media (Our Fake World) on movements for social change. It’s three hours of horror, humor and Brian Eno, and, flawed or incomplete as Curtis’s argument may be, it explains our present moment as well as anything else I’ve seen. Ben Wheatley’s Free Fire is as pointless an exercise in nihilistic violence as Seattle Screens have seen in some time. For some reason it’s set in the late 1970s, as a representative of the IRA played by Cillian Murphy (The Wind that Shakes the Barley) attempts to buy machine guys at an abandoned factory in Boston. The deal has been put together by Brie Larson (Room) and Armie Hammer (The Lone Ranger), the latter unrecognizable in turtleneck and beard. The dealer is South African actor Sharlto Copley (Chappie), leading a gang of ruffians, one of whom got in a fight with one of Murphy’s gang of ruffians the night before. When the two men recognize each other, they begin fighting, someone pulls a gun and soon the two sides are, as they say, freely firing at each other. Later some other people will show up and start shooting at everyone, but no one, apparently, knows why. One person will survive, of course, but it doesn’t matter who, or why, or for how long, though the final shot manages the unique feat of cribbing from both Reservoirs Dogs and The 400 Blows. 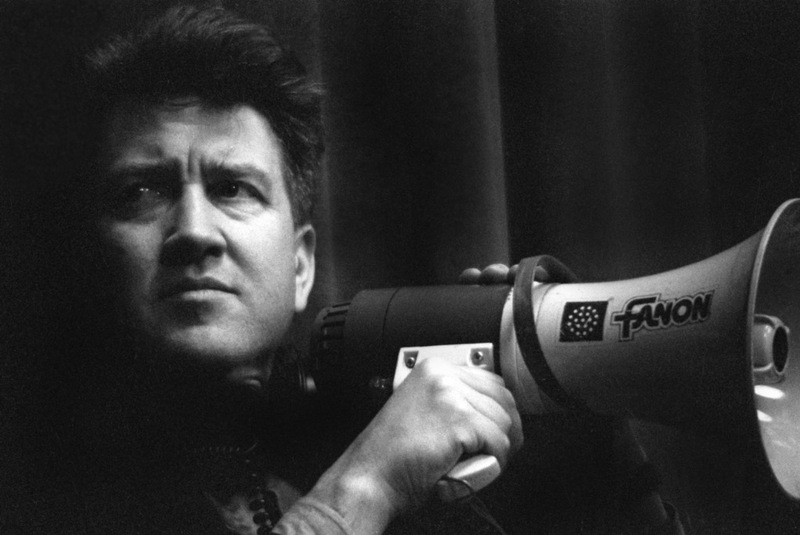 Not immune to the hype surrounding the revival of Twin Peaks, perennial local favorite David Lynch gets the retrospective treatment starting this week at SIFF, with Eraserhead and The Elephant Man at the Film Center and Lost Highway at the Egyptian, all presented on 35mm. 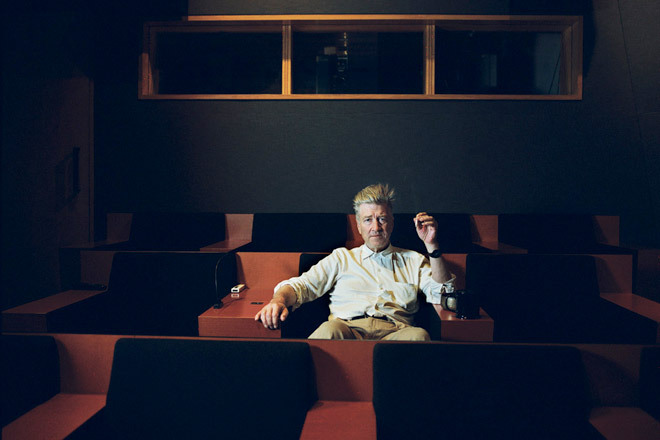 In coming weeks, they’ll be playing acknowledged masterpieces Mulholland Dr. and Blue Velvet, alongside Inland Empire and Dune, oddities great and notorious. I recommend watching them concurrently with the Ozu series at SAM and SIFF’s own on-going Douglas Sirk series (which features my favorite Sirk this week: Written on the Wind). Run the full gamut of the surreality of melodrama and see how your brain feels. Ryan’s got our series preview.